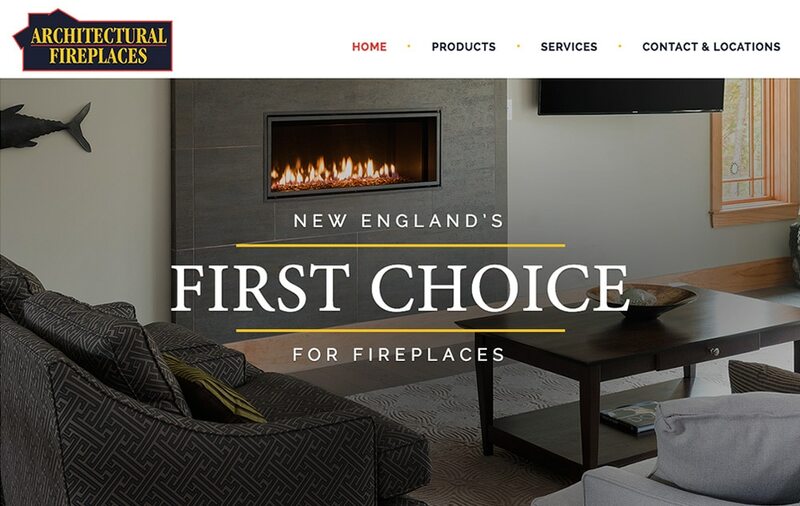 Architectural Fireplaces has been selling and installing fireplace products to New England since 1987. The company is also experienced with oil burners for chimneys and gas boilers for wood stoves, and is know for their fair prices and accurate scheduling. 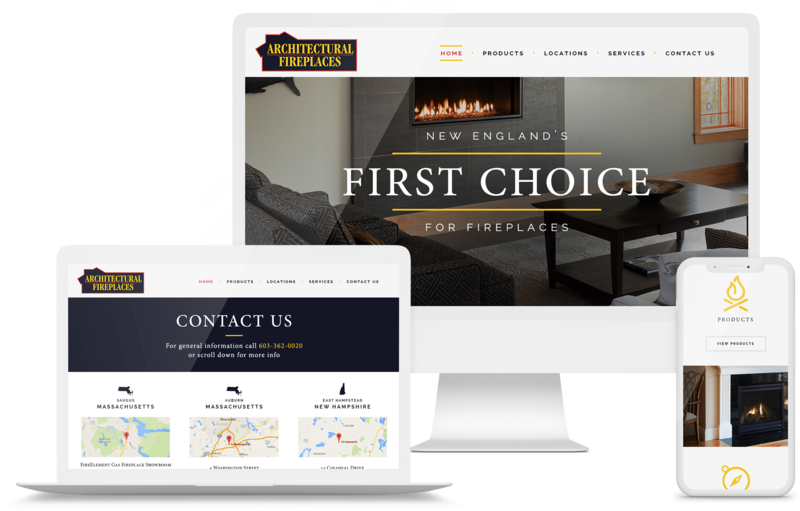 With locations in Auburn MA and East Hampstead, NH, you're sure to get the help your looking for when you speak with these fireplace experts! GoingClear Interactive was responsible for the design and development of the new Architectural Fireplaces website. Our main focus for this project was to present a modern and welcoming design that's also easy to read and take in. Fortunately for us the client provided us some stunning photography to show off for them! We also place a high priority on displaying their vendor brands and using clean typography in combination with supporting icons to help user navigate the site with minimal effort. 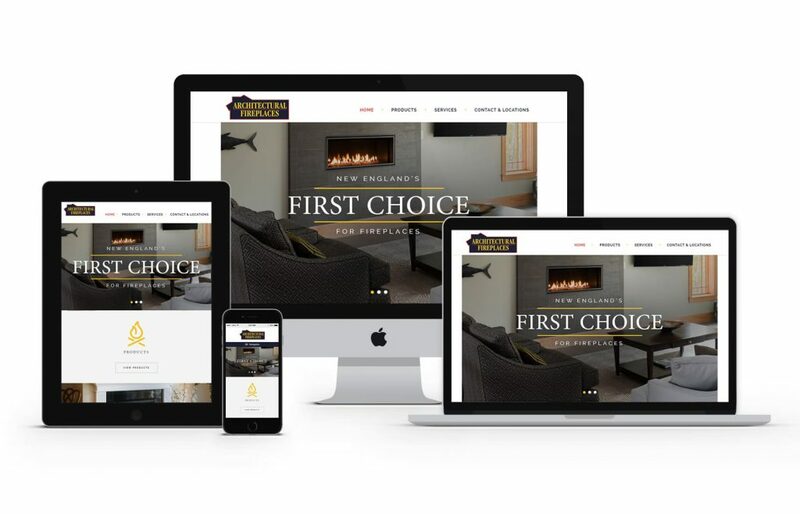 The new Architectural Fireplaces website was built using WordPress as the CMS (Content Management System) along with a fully mobile and tablet friendly design leveraging Twitter Bootstrap for the responsive framework so visitors will be sure to have a great experience on all of their devices.